All the brands of lower price cheap inflatable boats are trying to get you to buy their brand based on the claim: "We sell the best boat for the lowest price!". These lower priced boats are generally manufactured using the original design manufacturing model (not always), where the company ordering the boat has little input into the boat design, materials or quality control of the finished product. These are called white label or private label products. Read more about manufacturing here. Some of these boats are marketed by small internet-only based companies, some are sold by large companies with many years of sales and a large dealer network. 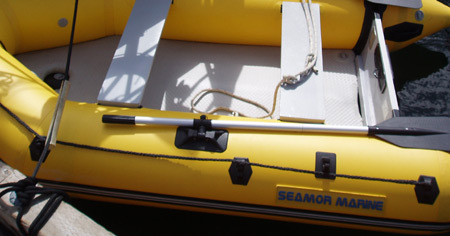 There are some important points to think about if you are considering purchasing one of the lower priced cheap inflatable boats. Google phrases like "quality issues" or "trouble with..." for the brands of cheap inflatable boats you are thinking about, and see what you find. These companies are very easy to set up..... and sadly for the purchaser, these companies can disappear very easily too! These are the brands where you want to be sure the distributor has a good reputation and will be there to take care of any concerns you may have in the future.